Since its inception in 1979, the Islamic Republic of Iran has regarded “exporting the Revolution” as one of its founding tenets. The ongoing pursuit of this agenda serves the goal of making Iran’s government of clerics a regional superpower. Al-Mesbar Center’s 140th monthly book Iran and Foreign Policy: Betrayal of the Inside, seeks to understand how the Islamic Republic has developed regional strategies under various political, military, economic and sectarian influences since the Shi’ite clergy took over the reins of power in 1979. In its immediate neighborhood, Iran has pursued an aggressive policy to defend an expansive conception of its “national interests”. It has employed Shiite groups in several Arab states as proxies. These groups claim to suffer injustice at the hands of the status quo and demand empowerment They reliably support Iranian foreign policy aims, provide aid to pro-Iranian militias and armed organizations, and help the Iranian government to destabilize its adversaries. Tehran’s drive to establish itself as a dominant power in a turbulent region had harsh consequences domestically as well as regionally. Witness the wave of popular opposition to the waste of scarce financial resources on military adventurism abroad. Moreover, the wave of protests in late 2017 indicates a rising tide of popular resentment with poor economic conditions, high unemployment, and deteriorating market conditions. This publication contains an array of studies, including treatments of the negative implications Iranian foreign policy has had on the country’s domestic affairs. It identifies the main factors contributing to the increasing loss of popular legitimacy: principally regional adventures that have been incited significant social groups against the regime. The book also analyzes the ideological bases of Iranian intervention abroad, which are indispensable to a nuanced understanding of Iranian foreign policy. One of the studies included within demonstrates how Tehran, exploits social divisions in Arab countries,attempting to undermine local governments by inciting social sectarian strife. However, this aggressive strategy has come at a significant cost, one paid in large measure by the Iranian people themselves. Moreover, the situation is likely to worsen in the coming months as the Islamic Republic’s isolation deepens. The book dedicates one study to tracing the history of Iran’s role in Syria, in attempt to identify its short and long term consequences for both Syria and the wider region. Iran and Syria have had a strategic alliance since the era of Hafez Al-Assad, who maintained the independence of Syrian decision-making from 1979 to 2000. This relationship has deepened since Bashar Al-Assad took power, and radically evolved after 2011, when Iranian intervention prevented the Syrian regime from collapsing under the strain of the uprising. 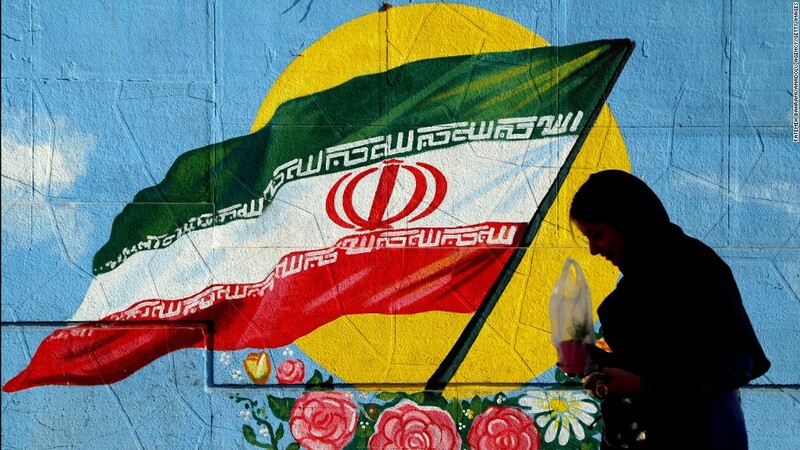 Iran has adopted a sophisticated soft power strategy of promoting the Islamic Republic’s ideological and political goals by launching ideologically sympathetic media channels and websites. One target of this approach has been the Kingdom of Morocco, where Iran has cultivated influence by soliciting select Sunni clerics willing to promote a pro-Iranian agenda. To this end, the study’s contributors examine the foundations of Iranian propaganda in Morocco, in order to carefully deconstruct the pattern of media discourse, and raise awareness of its modalities. Iran’s relationship with Hamas in Palestine has ebbed and flowed over the years, marked by alternating periods of close alignment and nearly averted rupture. One of the book’s studies concludes that the most realistic course of action available to Hamas will be to remain in a state of fluctuation between the Iranian axis and the Arab alliance. On the one hand, Hamas maintains Iranian support through occasional positive statements and a strong relationship between its military wing and the IRGC. On the other hand, it will keep a diplomatic door open to Arab countries and the international community, both of which aim to limit Iran’s influence in the region. Hamas uses its ties with each axis as leverage against the other, playing for concessions from both as circumstances dictateSince the Iranian revolution in 1979, the country has had little in the way of conventional interaction with its Gulf neighbors. Rather than build strong bilateral relations based on shared economic or regional interests, the dominant tone of Iran’s relationships with the Gulf States is one of rivalry and tension. 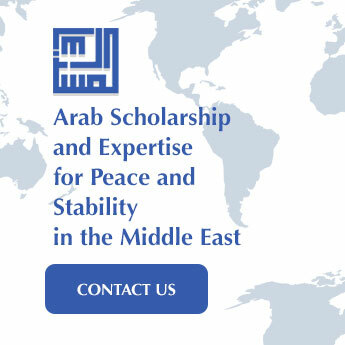 Al-Mesbar’s study approaches Iran-Gulf relations from two points of view. The first examines the impacts of Washington’s withdrawal from the JCPOA, while the second researches Iranian intervention in Gulf affairs, and how the countries affected have reacted to it. For centuries, Turkey and Iran have maintained an uneasy relationship of conflict and cooperation that can best be described as a structural, regional rivalry whose intensity and issue set are determined by fluctuating calculations of interest. In recent years, Ankara’s ties with Tehran have undergone two major crises: the first is the outburst of Syria’s protest movement and the ensuing waves of violence, and the second is Russia’s 2015 military intervention in Syria. In the case of Africa, the continent has been subjected to a heated competition between the international and regional powers vying over it. Iran is part of the competition from a strategic vantage point,using the rules of the international economy to achieve national interests. In this context, one of the book’s studies delves into the nature of Iranian influence in Africa, highlighting its progress and expansion, beginning with the Presidential terms of from Hashemi Rafsanjani(from 1989 to 1997). In order to boost its standing as a regional power, Iran has supported organizations that pose a plausible threat to its neighbors, such as the Popular Mobilization Forces in Iraq. One study embarks on a comprehensive study of this organization, analyzing it from multiple angles: its origins, constituent groups, their ties to Iran, the limits of the role it played in the conflict with ISIS, its religious authorities, sectarian tactics against Iraqi Sunnis, and its role in the Syrian conflict. Despite the apparent power of Iran’s regional presence, this book offers a careful reading of regional dynamics, and demonstrates the limits of this influence, arguing that it is more likely to face further setbacks as challenges to Iranian hegemony continue to mount. Al Mesbar Center would like to thank all the researchers who participated in the book, in particular Muhammad Mohsen Abu Al-Nour and Ibrahim Amin Nimer, who coordinated its production.